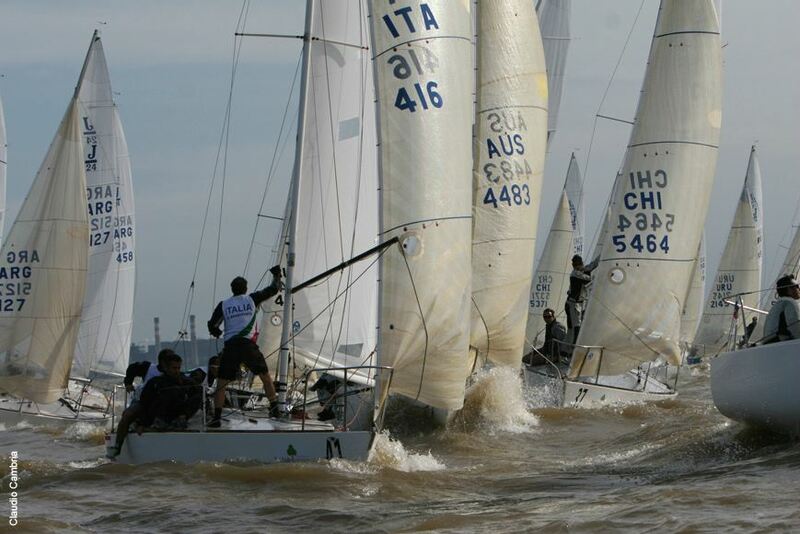 Buenos Aires, Argentina – After six races Tim Healy of Newport, Rhode Island remains on top of the leader board at the J/24 World Championship. 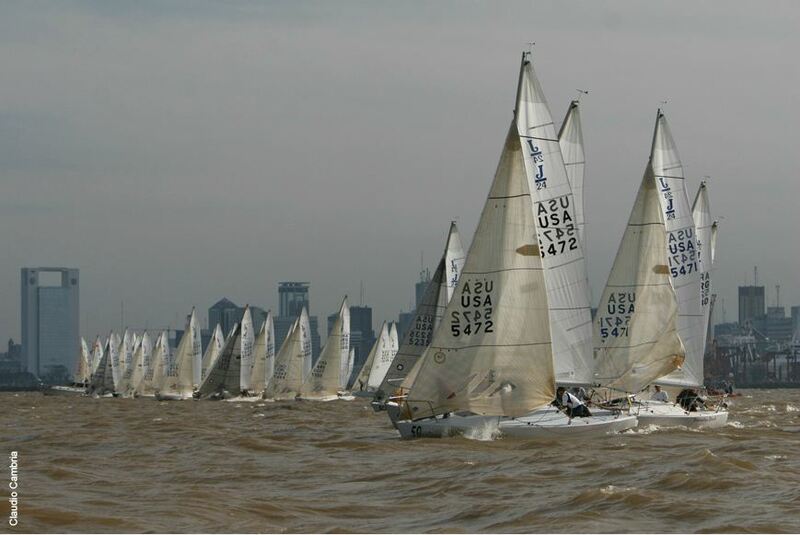 Two races were completed today under sunny skies with winds ranging from 10 to 18 knots. After a general recall in each race, Principal Race Officer Teodoro Kundig was again quick to hoist the black flag to keep the aggressive fleet under control. 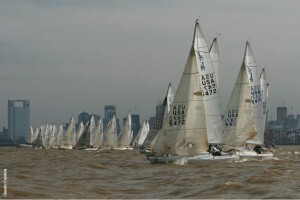 In the day’s first race 18 of the 58 boats (including Healy) were scored BFD after two general recalls under the black flag. On the next attempt the fleet finally got away and Peru’s Luis Olcese hit the pin end start perfectly. Olcese led the fleet until the final few meters when he was run down by Alejo Rigoni who took the win. Conditions were more challenging for the second race as the wind had again built to around 18 knots, kicking up a very confused sea. Healy rebounded from his black flag disqualification to win the race going away followed by local favorite Matias Pereira in second. The completion of the sixth race allows teams to now drop their worst score, leaving Healy in the lead by 18 points. Top-five after six races: 1. Tim Healy (USA) – 14 pts, 2. Alejo Rigoni (ARG) – 32 pts, 3. Luis Olcese (PER) – 33 pts, 4. Francisco van Avermaete (ARG) – 37 pts, 5. Francisco Campero (ARG) – 37 pts.